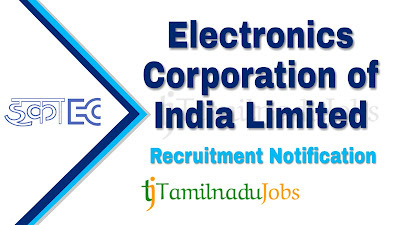 ECIL Recruitment 2019: Good news for the Aspirants looking for Central Government jobs, now Electronics Corporation of India Limited (ECIL) published an official notification for 09 post to fill the Technical / Scientific Assistant, work in Gauribidanur, Karnataka. Candidates must go through the official ECIL recruitment notification thoroughly before apply for Technical / Scientific Assistant post. ECIL Technical / Scientific Assistant job application is collected through Online mode only. 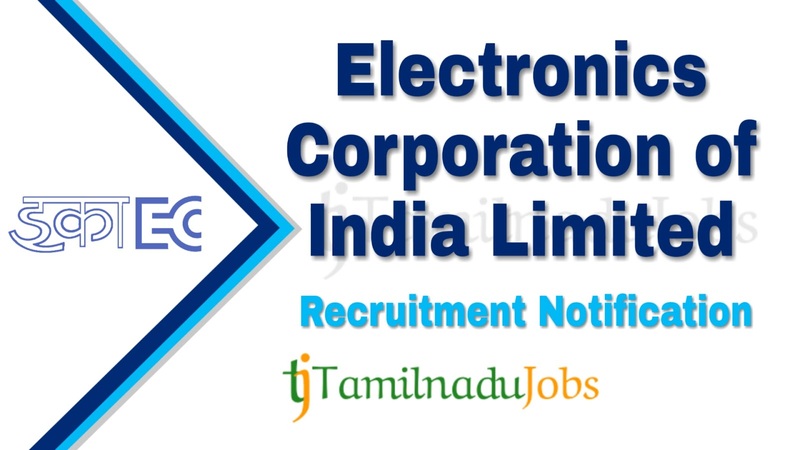 In the recent Recruitment Notification, the following vacancy details given by the Electronics Corporation of India Limited (ECIL) and aspirants should go through the vacancy details and eligibility details for more detail in ECIL notification link given below before applying. Aspirants meet the education qualification of Electronics Corporation of India Limited (ECIL) only apply for the Technical / Scientific Assistant job. ECIL notification 2019, education qualification are given below. A first class three years full time degree in B.Sc with Mathematics or Physics or computers or Electronics from recognized Indian university with at least 60% aggregate marks. Candidate should be able to communicate in English or Hindi language. Should be willing to work in Operation & Maintenance of Computer related Centre on round the clock basis. Aspirants who want to apply for ECIL Technical / Scientific Assistant 2019, must attain the following age limits given by Electronics Corporation of India Limited (ECIL). The application fees for Electronics Corporation of India Limited (ECIL) Technical / Scientific Assistant 2019 differ according to various categories. The application fees details for ECIL Technical / Scientific Assistant given below. Electronics Corporation of India Limited (ECIL) is announced the recruitment for the Technical / Scientific Assistant to full fill their 09 posts. Aspirants have to pass the following selection process given by Electronics Corporation of India Limited (ECIL) to get Technical / Scientific Assistant job. For more detail and correct information check in the official notification of ECIL. How to Apply ECIL Technical / Scientific Assistant 2019? Candidate must have a duly filled application form with all required documents and one set of Xerox copies to attend the Walk-in below venue.